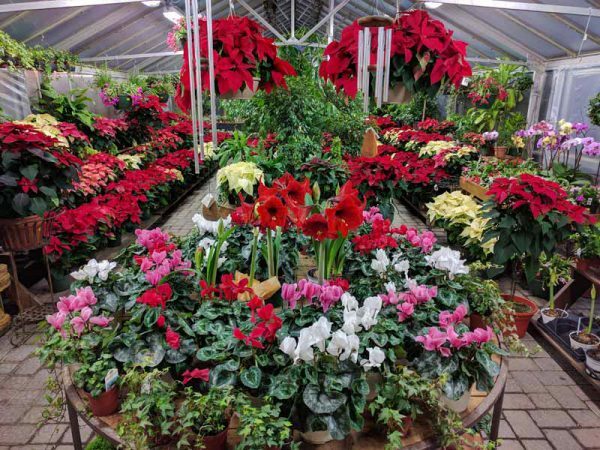 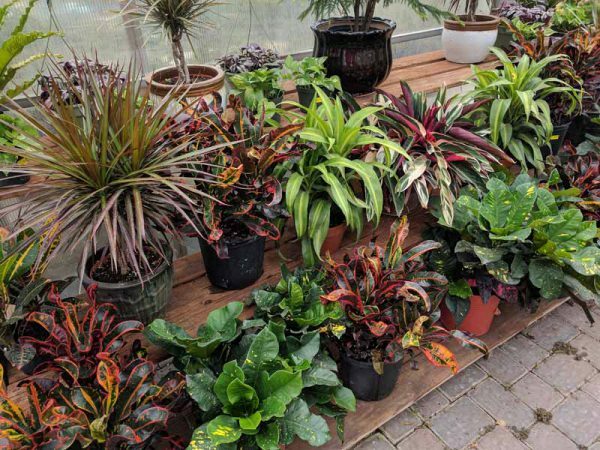 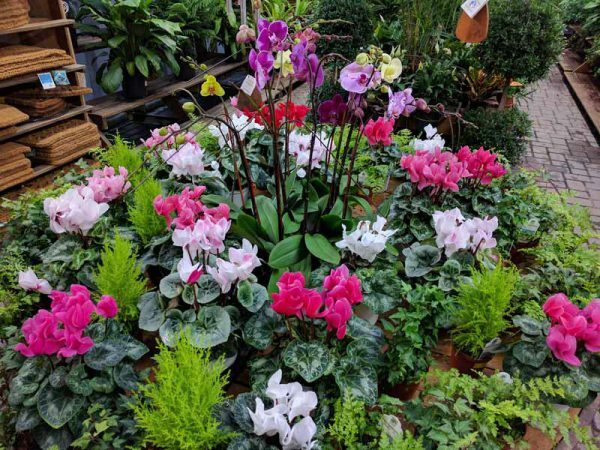 Our newly renovated greenhouse is always stocked with a great supply of indoor plants for year round beauty, as well as seasonal flowers like Poinsettias, Cyclamen, and tropicals. 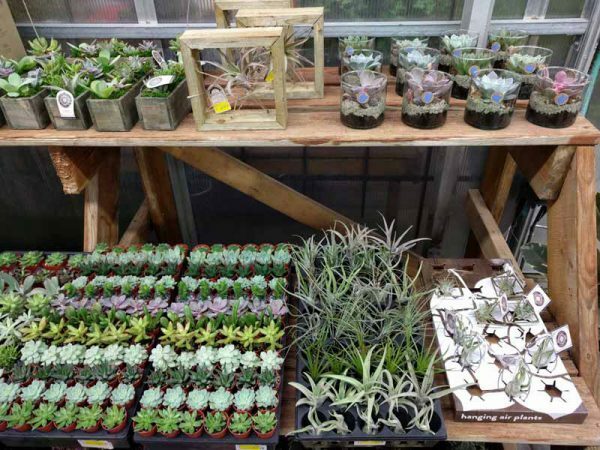 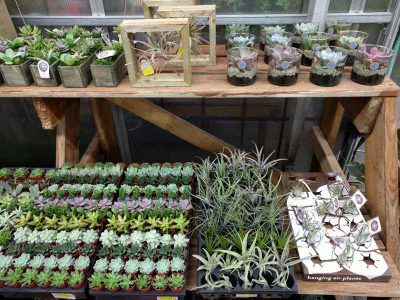 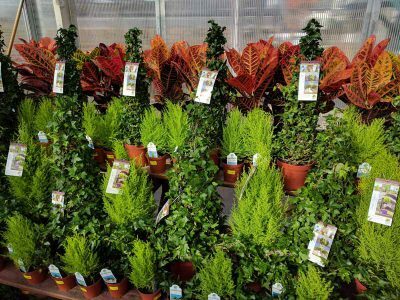 We usually keep in stock a variety of easy to maintain indoor plants like succulents and cacti, dracaena, spider plants, ivy, pothos, ficus, fiddle leaf figs, sansevieria, ferns, peace lily, aloe, kalanchoe, assorted palms, alocasia, bromeliads, croton, and Norfolk Island pine. 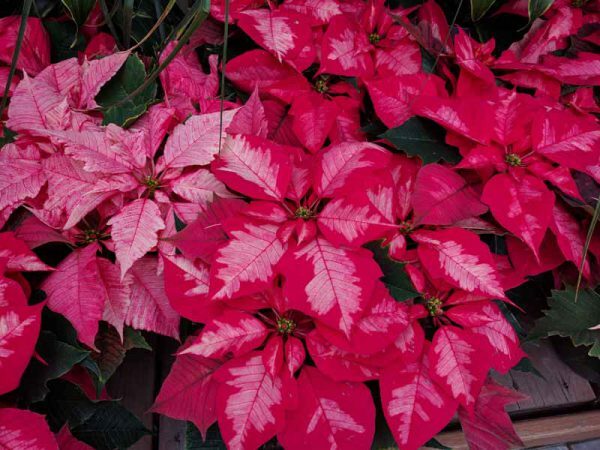 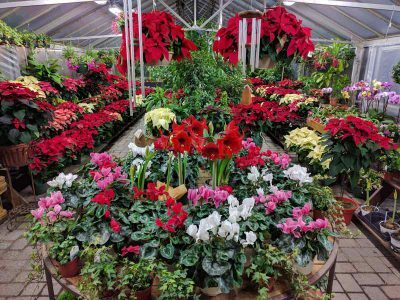 At Christmas time we load the greenhouse with a wide variety of poinsettias and flowering cyclamen. 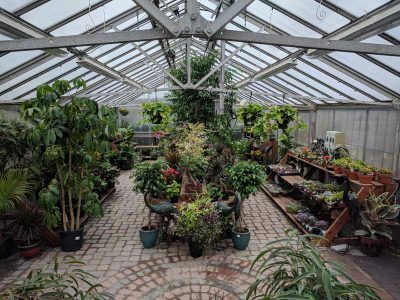 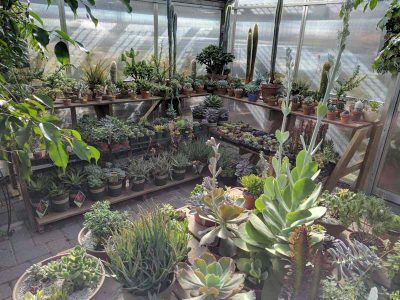 Stop by to see our well-kept greenhouse.